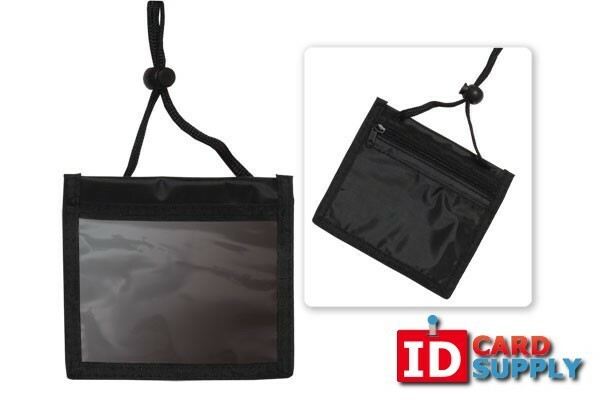 3-Pocket Credential Holder | Keep Belongings Safe With IDCardSupply! No pockets? No worries! Keep your drivers license, social security card, and other important cards in this black, nylon 3-pocket Credential Wallet. 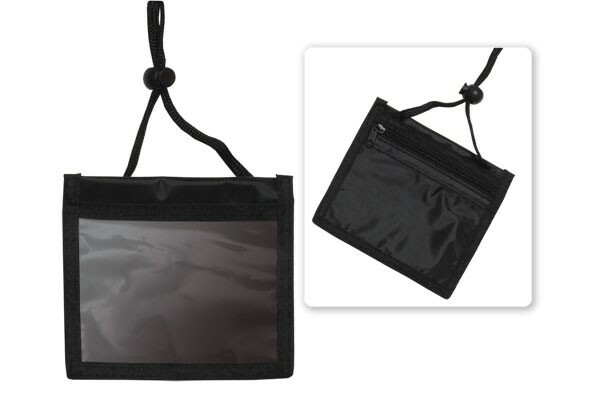 The front pocket has a clear, vinyl pocket that holds your name badge or exhibitor badge. Place your valuables in one of the two zippered compartments at the back of the neck wallet. Product dimensions are 4" x 3" and insert dimensions are the same. The cord is 48" long and has a cord lock that allows you to adjust it to the perfect length and lock it into place. Enjoy your event while keeping your valuables safe.